Simple, seamless smart building system that works! 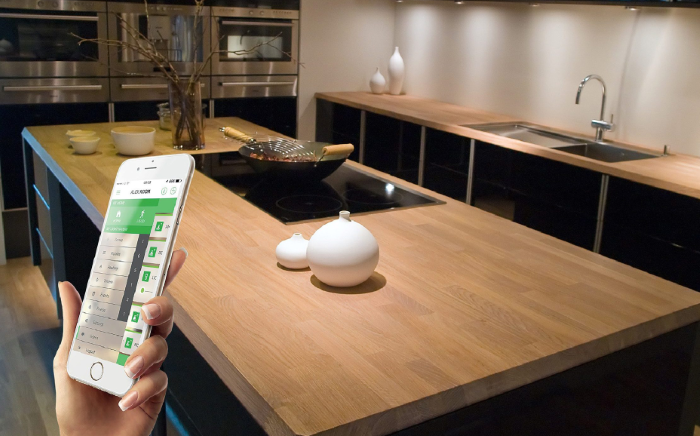 Smart building control at your fingertips. With the Lightwave App, you can activate and adjust your building automation system using your smartphone or tablet. And now you can use your voice to control any of your Lightwave devices. Since Lightwave works with Amazon Alexa, Apple HomeKit and Google Home, you can have a voice controlled building! You can instantly control up to 80 heating and monitoring devices and up to 256 lighting and power devices around your building. A simple menu system allows you to organise your devices room by room. Basic features include grouping, scene lighting, energy monitoring, heating scheduling, temperature reporting, scheduled events and socket or dimmer locking. Use the automated events feature to schedule one or more Lightwave devices to turn on or off or to dim automatically at a certain time. This time can be repeated on a daily or weekly basis. Ideal for encouraging reluctant staff to take a break or go home perhaps? It’s also a useful building security feature. You could, for instance, set a timer to turn your security lights or devices on at dusk. The Lightwave App can help you to identify power-hungry appliances so that you can turn them off remotely. Lightwave Thermostatic Radiator Valves (TRVs) allow you to control your heating room by room by setting precise temperature and scheduling routines to fit your needs. Using magnetic switches you can even turn radiators off when a window is opened. For the first time simplicity, genuine affordability and style have been combined in a comprehensive, high quality range of wireless & remotely operable power, lighting and heating control products fully tested and approved by Siemens. Every device is easily retrofittable; dimmers and sockets are a direct replacement for existing ones and require no extra cabling – just a standard back box. Remote control is possible using handheld remote control, PIR sensors, smartphone, tablet, PC or even from a voice controlled virtual assistant. Be it from your own lounge, or even whilst on holiday, you can now have direct control of your building!